Heavy rain all day, dry later. I've used this shot of the Tenthredo sp. 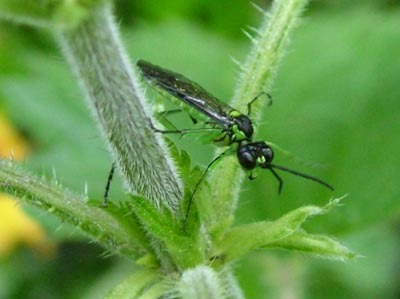 Sawfly to show the bright green underside. 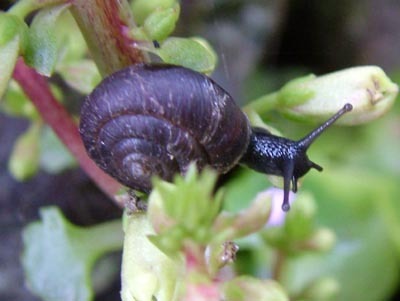 Last year I showed this straight snail - Clausilia bidentata. This specimen was descending over the lichen and its shell was 'overtaking' it on the way down. 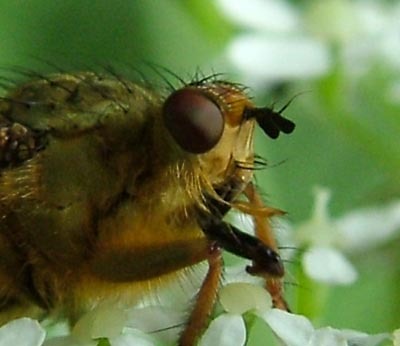 Three shots of Scathophagus Dung-flies at various stages of eating their prey. They're pretty aggressive feeders. 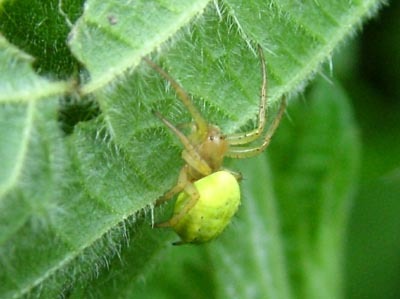 This bright yellow spider was perched on the underside of a Nettle leaf.